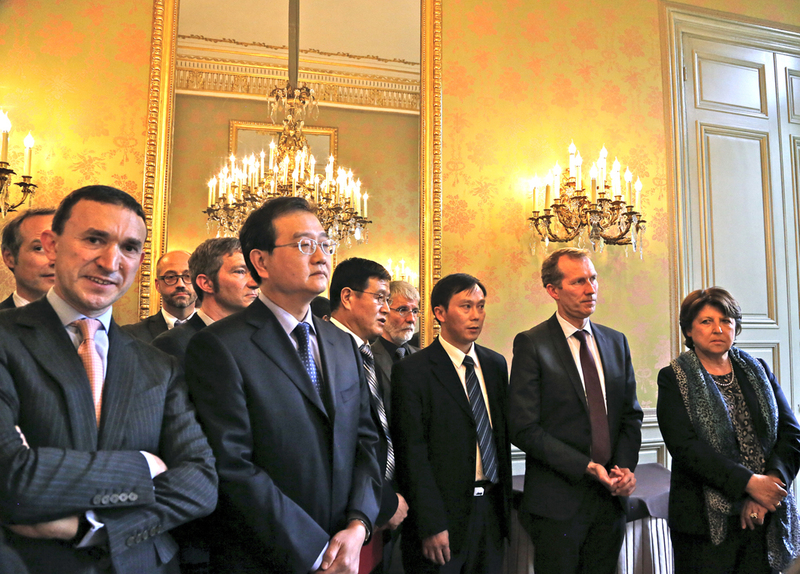 May 2013: Olivier MARC of Euro China Capital witnessed the signing ceremony of an agreement between South China Agricultural University and CEVA Santé Animale relative to the avian flu vaccine. This agreement was signed with major institutional participants. On the French side, M Stephane LE FOLL, Minister of Agriculture, Mrs Martine AUBRY, former State Minister and Special Delegate of the French Minister of Foreign Affairs to Franco-Chinese Economic Cooperation, M Guillaume GAROT Deputy Minister of Agriculture and M Deng LI, Chinese Interim-Ambassador to France.